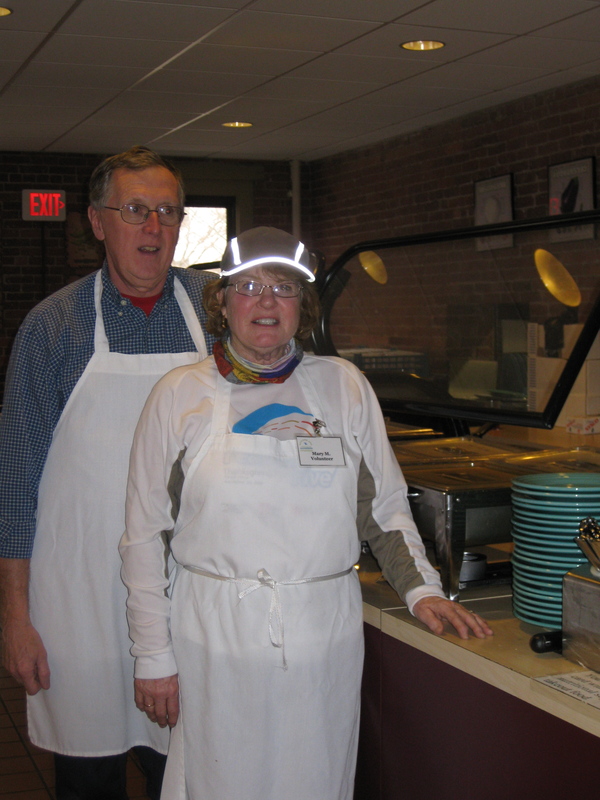 BLC Volunteers Mary and Gerry Murphy (married 36 years) have been volunteering in the dinning room here at the BLC since September. Always full of smiles and good conversation, Marry and Gerry have quickly become favorites around the Center. This week is the Murphy’s last week at the BLC. In a short time they will jetting off for a stint in the Peace Corps. Before they go we wanted to introduce everyone to the Murphy’s. When did you start volunteering at the BLC and how did you hear about the Center? We started volunteering last September 2009, after we interviewed with Lisa Brown and had a tour of the center. We felt very welcomed and comfortable at the BLC. We heard about the BLC from our son who volunteered at the center in 2000 while he was majoring in Community Health in college. What has been special about your time as volunteers here at the BLC? At the BLC we have found everyone to be friendly, helpful, kind and caring. From the moment we enter the center and are greeted at the desk to our work in the dining room/kitchen we feel welcomed and appreciated. We enjoy interacting with the other volunteers and staff making our work an enjoyable experience.The volunteers are given a “shoutout” every day at the daily announcements. This feeling of appreciation and friendliness is what makes the BLC special to us. You are going into the Peace Corps soon. Where will you be placed with the Peace Corps? We have been invited to serve in the Peace Corps in Morocco starting March 3rd 2010 working with the Berber people in some as yet to be determined location in rural Morocco. Our assignment will be in Community Health Development. We seem to be following our son again, he was in Mali West Africa from 2001 to 2004 with the Peace Corps working in Community Health. How is volunteering at the BLC a part of your preparations for the Peace Corps? All Peace Corps Volunteers going into Community Health development must have an experience in a HIV/AIDS Community setting and HIV/AIDS training. We have become Red Cross certified in HIV/AIDS Education and Prevention Training. Why are you going into the Peace Corps at this time in your life? We have both retired and we were interested in doing some type of national service, the Peace Corps seemed to provide the perfect solution for this quest. The Peace Corps has been in existence almost fifty years and it gives us an opportunity to see another culture, hopefully provide some benefit to another culture while showing our host country what Americans are really like. Anything else you’d like to tell us about your time as volunteers so far at the BLC?